Welcome to class 6. Our teacher is Miss Marsh and we also have the help from Mrs Sharp. On a Thursday afternoon, Mrs Cunnington comes in to teach us Maths. In addition, we are supported by Mr Smith and Mrs Chambers who help us further with our literacy and mathematical skills. This term, Class 6 will be venturing over the Atlantic to Brazil and Rio. We weill be following the Olympics as well as finding out more about the culturally diverse South American country.. In Literacy we will be looking at biographies of Olympic athletes. In Music we will be creating musical instruments and performing in our own Rio carnival. We are lucky to have forest schools tis half term so we will be taking part in our own Olympics as well as cooking a variety of foods. 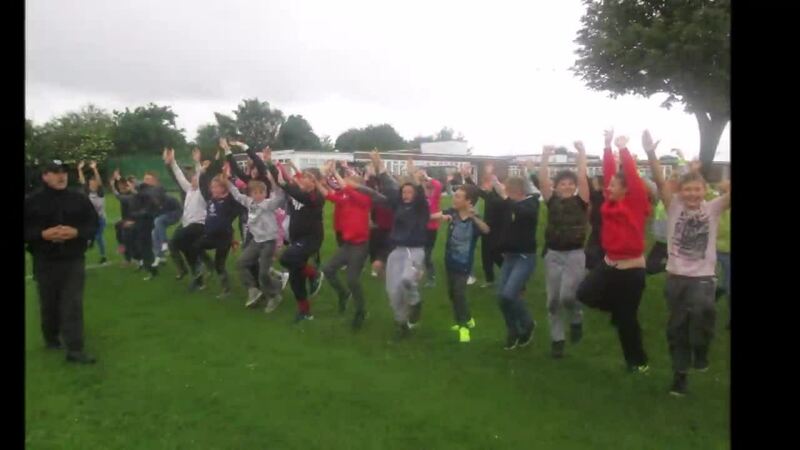 As part of our Olympic fortnight we were lucky enough to take part in an assault course! The wetter the better!! We have been using the new IPAD's within different lessons in class. We recently used QR codes to research Mary Anning as part of our Science topic on evolution. We enjoyed a wonderful day at the Media Museum in Bradford. We experimented with different lights and shadows as well as putting our hand to some filming in the TV room. Our favourite room was definitely the gaming room!